If you’re working on a startup then you probably don’t need anyone selling you social media. I mean, it’s 2013 and you probably already have Facebook or Twitter connect on your product by now. What most startups need help with is figuring out when to start using the different social platforms and how to choose the right ones. On this post I’ll talk you through some of the key points for each platform to make this decision easier for you. How does social media help in your startup? Firstly, if you think you should go on social media sometime in the future, then stop and think again. To grow your product you’ll need to grow your community and get new users who’ll use your beta, give you feedback on your product and if you play your cards right, will eventually become the foundation of a bigger community and your strongest advocates. I’m not fantasizing about sometime in the future, I’m talking pre-lunch. Social media will help you drive first users to your product / service. Take advantage of that. But where do you start? Which social media platforms should you use? Is there a definitive answer to ‘which social media should I use for my startup”? The answer is no. There is no real – one size fits all – template you can just apply to your start up social media strategy, you need to build and customize it yourself. In order to get started, there are some key takeaways for each platform that can help you determine where to start, I’ll be presenting them throughout this post. Go to where your customers are – Don’t go on Facebook or Twitter just because it’s your comfort zone, ask yourself ‘ where are my potential customers?’ ‘Which platforms are they using?’ Better so, if you already have some brave early adopters who fit with the description of your ideal customer, ask them. Do it nicely and you’ll be surprised by how much they’ll love helping you. It’s OK to change strategy – Its ok to start with one strategy and change it. The fact that you’ve spent some time on a specific platform doesn’t mean you have to keep grinding it even if it doesn’t work. Instead of shedding tears on time wasted on the platform, think about how you are going to improve your work from now on. Inspect your past efforts, don’t dwell on them. Look into the future. No one cares about you – For a startup, it’s super important to talk about your product, get more people to sign up and spread the word, but on social media you need to do better. On social media, you have to not only show your features or cool design, but you have to establish a relationship that is based on mutual interest. Your content should be relevant to your product but also interest the people you are trying to reach. Think about content pillars that will also be relevant and drive users to try / register to your startup but also keep in mind that it should simply be engaging and interesting to your potential users. 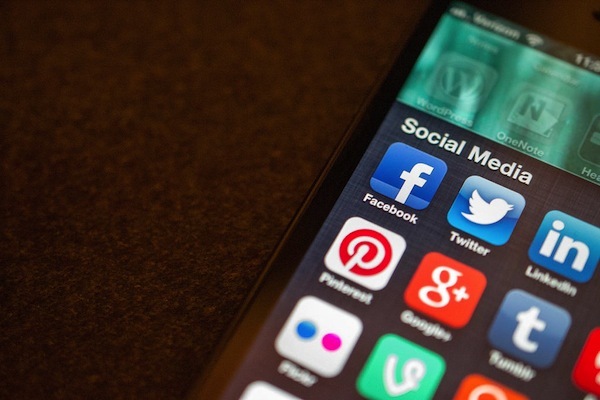 What are the most effective social media platforms for your startups? Here’s the thing about Facebook – everyone is on Facebook. Everyone’s mom is on Facebook, but that doesn’t necessarily make it the best choice for your company to establish social presence. If you’re a B2C company then Facebook has more potential to suit you. Last year, Forrester reported that fans of a brand on Facebook are 78% likely to buy from that brand as opposed to 47% chance of a non-fan to buy from the same brand. About 74% of the brand’s Facebook page fans are likely to recommend the brand to a friend. Those are big numbers. For B2C Facebook is a big thing. Before you go on clicking on the ‘create a page’ button, you should notice that if you company’s content is not on going to focus on right side of “Fun” or “Lifestyle” then you shouldn’t expect these high end results. In April, Facebook announced on the top 20 brand pages on the social network, and though the companies chosen varied from fun topics like Oreo to the potentially boring Intel and Toshiba, they all tend to focus their content on ‘Fun’, ‘Trendy’ and ‘Young’. If you decide to go on Facebook as a part of you startup social media strategy and looking for a great start, giving away coupons or a discount is a good way to go at it, as 42% of fans apparently like a page to get a coupon or a discount. Competitions are also big, but smaller than coupons with only 35% of Facebook Fans declare of Liking a page so they can participate in a contest. Is Facebook useful for business-to-business marketing? The answer here is trickier. Although 42% of North American and European B2B decision makers primarily use Facebook for personal purposes online, that doesn’t mean they are willing to buy from you, it means that they visit Facebook to get into “relaxed’ mode and probably don’t want you to interfere. Only 2% of decision makers use Facebook primarily for business, so you we’re not looking on a big chance there. I would still say Facebook is a must have in terms of just ‘being there’. I’d set up a page and post about 2 posts a week “just in case” even if you don’t intend to make it your core hub. Just remember – If you’re not going to focus and put your content effort into it, that’s OK, but if you’re not focusing on it, don’t promote it! Personally, I love Twitter. It’s a great place to establish thought leadership and to get to know early adopters. It’s like the mingling lounge for your Linkedin’s tech connections. It’s a great place to start a conversation with influencers, so in terms of using it to build a strong foundation to your community, Twitter is pretty great. Even if you won’t end up using it for your startup I recommend you use it as a personal tool. It will get you new connections and opportunities. For your startup, it’s a great place to get those early adopters who’ll use your product from its beta to its official launch. Twitter has a more niche audience than Facebook who are more open to being the first to try new things. It’s not the best platform if your main audiences are teens, but it might work great if you’re looking for the 22-24+ age groups. Another great thing about Twitter is that it has amazing search capabilities. You can easily keep track of your brand mentioning, or keywords that are important to you and that can help you learn more about what your potential product-fan needs. Because Twitter is more open to conversations without the need to connect prior entering the conversation, it’s easier to simply jump in the conversation and reach potential users. Search is also great to find people who are already engaging with your product or need help with it without them having to ask for it… By tracking your brand you can find out who needs your help and engage them before they even reaches the point of having to talk to you. Great customer relations build amazing communities. Last but not least, Twitter is a great platform for individuals to speak their mind and make it resonate across the web, even more than Facebook, so naturally it attracts media, journalists, bloggers and other influencers of all walkabouts of customers. Use Twitter to create new connections and look for opportunities for your company. 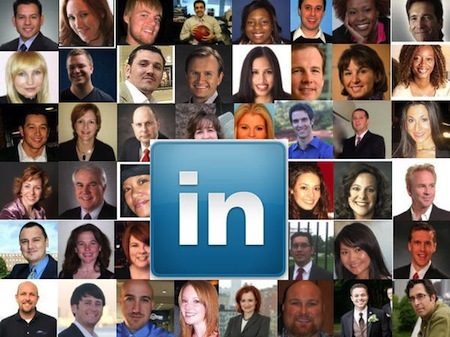 With over 200 Million business users and 2 more joining every second, Linkedin is the golden boy of B2B. It’s especially great if you’re trying to reach PRO users and business opportunities. As opposed to Facebook’s 15 million business pages Linkedin has only 2.7 million business pages, but they are oriented to the more ‘serious’ crowd, which might be good for your business growth. 26% of decision makers use Linkedin for business only, 74% if we include people who declared they use it for both personal and business purposes. These are pretty big numbers. If you want to reach a PRO audience and your products content is directed to more serious – work oriented eyes, Linkedin is a must have. No, I’m not forgetting Linkedin groups, it’s coming up. Pinterest is fun. It has tons of beautiful imagery, it almost makes you want to join just so you can create beautiful things as well. Before we go into what you should heavily consider prior to jumping into Pinterest, you need to know what you’re getting into. Ever since the website launched in 2010 it has been a great traffic source for websites. In 3 years they got over – 70 million users, with 2.5 million page views per month and a not so bad almost 15 minutes time spent per visit. If you’re concerned about your content going viral, 80% of pins get repined. That’s a lot. Before you get to excited know this, Pinterest is big mostly for women in the U.S with 55% of them being in ages between 25-44 . Ask yourself – is this my target audience? Do they relate to my target audience? Lets be honest, if you’re targeting kids or clothes for men age 30-45, women are still a big part of your target audience. If you answered ‘Yes’, then you should take into consideration you’ll need to create your own original visual content. If we’re talking taking pictures around the office it should be pretty easy and fun, if you’ll need a graphic designer notice it usually takes time and costs a lot of money. Be sure to take that into account. Quick wins is a term I coined while working with SimilarWeb.com. Quick Wins was an expression we used for everything that “brings a lot of quality traffic fast”. Building your community is important, but also getting traffic back to your site. Don’t forget that. The two best ways to get traffic to your site without spending a dime is through Quora and Linkedin group (I told you I’d go back to groups). Its ok to start with one strategy and change it. The fact that you’ve spent some time on a specific platform doesn’t mean you have to keep grinding it even if it doesn’t work. Instead of shedding tears on time wasted on the platform, think about how you are going to improve your work from now on. Inspect your past efforts, don’t dwell on them. Look into the future. Answering relevant questions on Quora and adding a link to a relevant blog post or your service/ product website is almost guaranteed traffic. If you answer a relevant and trending question you can easily get a lot of traffic and exposure to your startup. If ‘a lot’ is an obscure amount, I’d benchmark it around 45-60 clicks per answer and about 1-2 minutes of your time max. It’s not a lot but for most startups it’s not bad at all. You can easily hit 10-15 questions in less than 20 minuets a day. We’re talking about approximately 450 to 900 referrals a day. And of course, lets not forget great SEO. The same goes for Linkedin groups. Linkedin groups are a very important tool that allows you to build thought leadership and even more important, build a great network of people who are interested in you or your product. What social media platform is right for you? As I said at the beginning of the post, you need to choose the social media platforms that are right for you. Don’t be afraid to change strategy if something doesn’t work. Make sure that you choose the right social channels that are relevant to your customers, relevant to your product and you can create the best content for. If you feel overwhelmed with choices and want some direction, you can download the Free social media strategy cheat sheet for your startup. It will help you focus more on your goals and content you want to create. Write in the comments, which social media platforms did you find helpful for your startup?